Israel Air Force Genuine Leather Wallet. 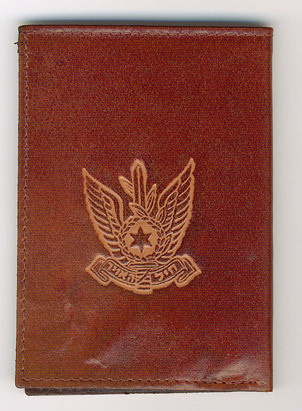 The Israeli Air Force commonly known as Air Corps, operates as the aerial warfare branch of the Israel Defense Forces. It was founded on May 28, 1948, shortly after the Israeli Declaration of Independence.